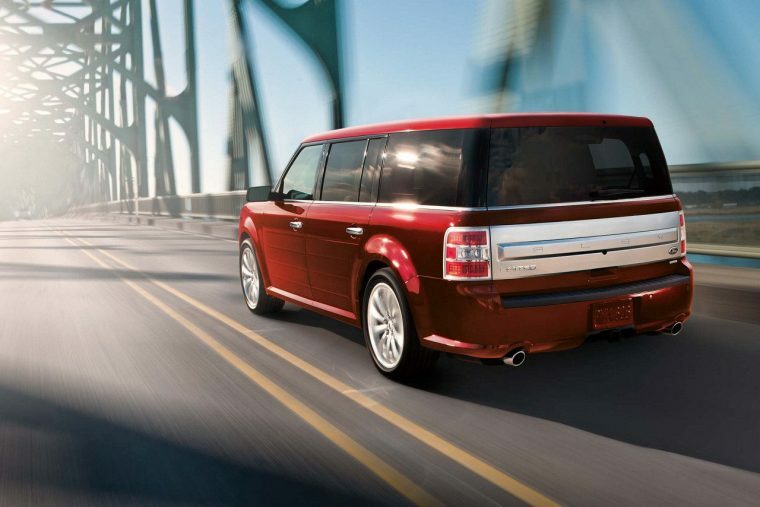 Designed as a seven-passenger vehicle, the Ford Flex brings a new face to the family commuter. 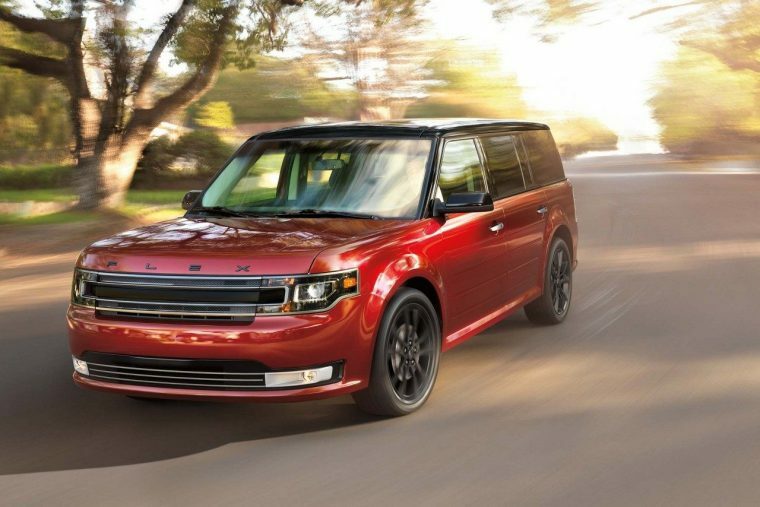 With a rigid frame structure and a spacious, tech-filled cabin, there’s a lot to love about the 2018 Ford Flex. The 2018 Ford Flex is available in three trims: SE, SEL, and Limited. What’s New for the 2018 Ford Flex? The Ford Flex is largely unchanged for the 2018 model year. Last year’s model introduced three new exterior colors, one of which was lost for 2018. The color Blue Jeans is no longer available on the Ford Flex; however, the 2018 Flex is available in Blue Metallic. 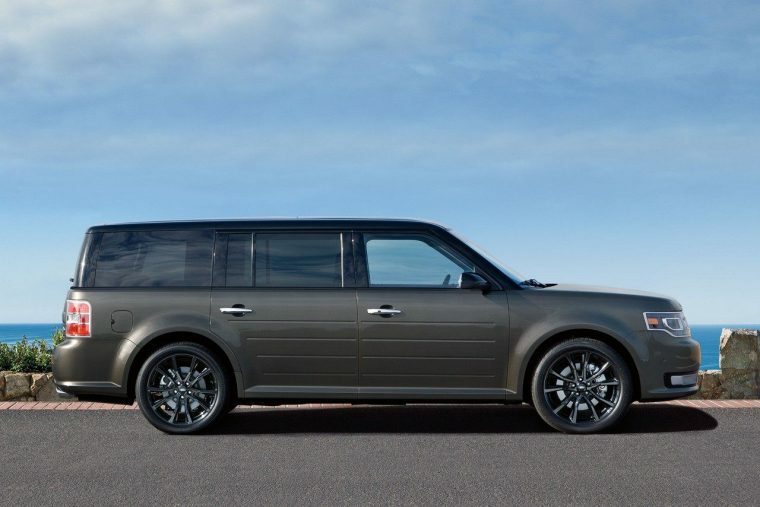 The exterior styling of the Ford Flex is far from common. Its boxy style replicates that of a Mini Cooper or a Nissan Cube (RIP), but with a longer body and significantly more cargo space. The Ford Flex offers exterior convenience features, too, including an available power liftgate and a rear window defroster. The 2018 Ford Flex is available in nine exterior colors: Burgundy Velvet, White Platinum, Shadow Black, Ingot Silver, Oxford White, Magnetic, White Gold, Blue Metallic, and Ruby Red. All three trims of the Ford Flex come standard with a 3.5-liter V6 engine and a six-speed SelectShift automatic transmission. This combination produces 287 horsepower and 254 lb-ft of torque. If you’d like the Flex to have a little more kick, you can opt for a 3.5-liter EcoBoost engine on the Limited, which produces 365 horsepower and 350 lb-ft of torque. 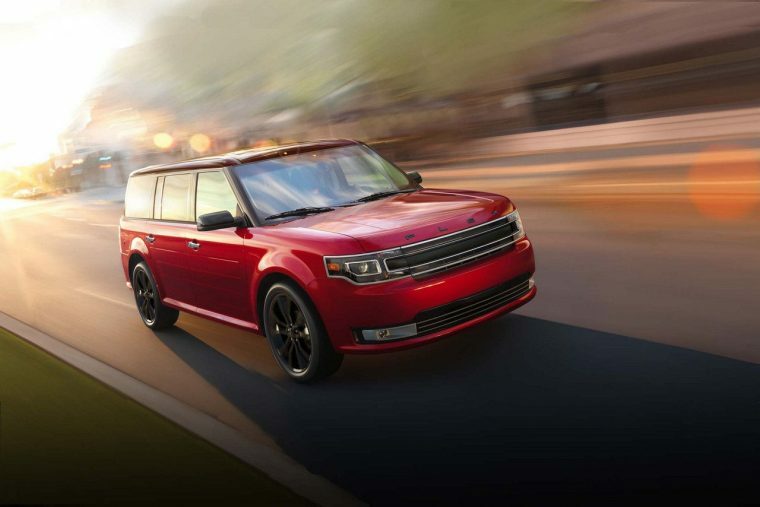 When equipped with the smaller V6 engine, the 2018 Ford Flex earns an estimated 16 mpg in the city and 23 mpg on the highway. If you decide to tackle the road with upgraded EcoBoost performance, you can expect an estimated 15 mpg in the city and 21 mpg on the highway. 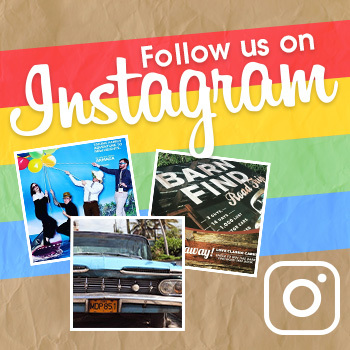 The Ford Flex is a family vehicle, after all, so it’s designed as a comfortable, tech-savvy space for every passenger. The third-row manual fold-flat-into-floor 50/50-split bench seat makes it easier than ever to accommodate passengers and their cargo, while available heated front seats and a dual-zone electric automatic temperature control system create a comfortable environment throughout the cabin. The 2018 Ford Flex is available in two interior colors: Charcoal Black and Dune. The Ford Flex’s safety cage construction is designed to help protect all seven passengers in the event of an accident. Ideally, though, there wouldn’t be an accident at all. 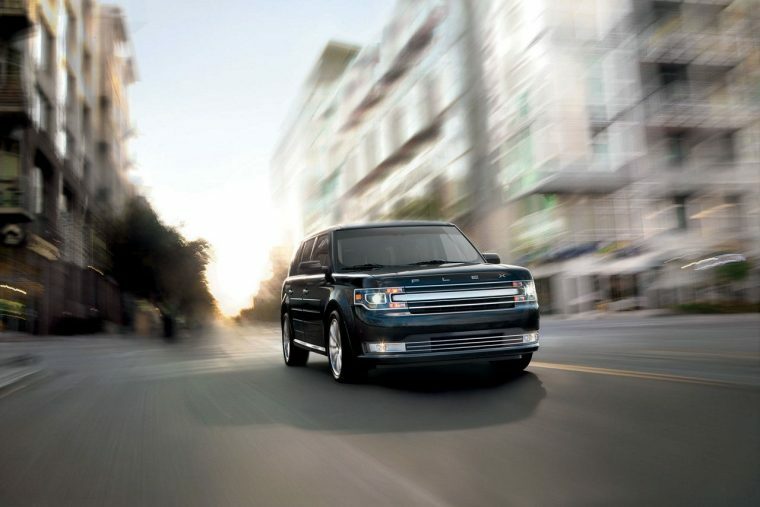 The Ford Flex Limited offers a Blind Spot Information System (BLIS) to alert you to vehicles out of your line of vision. Plus, the rear view camera with backup assist grid lines makes it easier than ever to navigate those tight parking spaces.